IPL is a non-invasive medical technology that uses light therapy for permanent hair reduction, eliminating age spots, sun spots, freckles and other unsightly discolourations of the skin, superficial capillaries, port wine stains and other benign vascular lesions. It is also particularly effective for a high percentage of people with rosacea. The treatment is applied by placing a hand-held treatment unit on your skin. This generates an intense pulse of light into the skin which is absorbed by elements with colour in the skin. The IPL also eliminates hair, employing a method known as selective photothermolysis. This involves disabling hair growth mechanisms by raising the temperature of the hair follicle high enough to damage the follicles germinative cells without damaging the skin and surrounding surface. The chromophores include melanin – brown (in pigmented areas) and haemosiderin – red (in blood vessels). Once the photons from the light hit the chromophore it turns to heat energy, destroying these abnormal areas, but leaving the healthy skin unscathed. What can be treated with Intense Pulsed Light systems – IPL? Who is suitable for IPL? Most people may be treated with IPL; however your doctor should determine if your condition is suitable for IPL treatments. People with dark skin types are more prone to risk of hypo and hyperpigmentation, and therefore may not be suitable candidates. 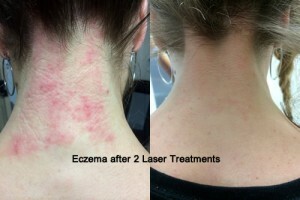 Acne Treatments: We are able to offer an acne management program for clients. Results will vary, but most people will see a significant improvement in skin condition, especially if they combine treatment with appropriate acne skin products. Treatments should be 1 or 2 weeks apart. Hair Reduction Treatments: We offer permanent hair reduction. This means that in most cases the majority of hair will not return after a short series of treatments. The hair that is going to disappear for good will usually stop growing within this initial course, with ant residual hair growth being finer, softer, lighter in colour and regrowing at a dramatically slower rate. The residual hair growth can be left alone, or you can have occasional maintenance treatments. Pigmentation Treatment: We offer a treatment to reduce the colour of pigmented lesions caused by sun damage. A doctor’s letter confirming that no skin cancers are present is required before commencing treatment. One treatment is often enough to see stunning results, but 2 or 3 at 4 to 6 weekly intervals may be needed for optimal results. Sun damage typically seen on backs of hands, forearms, décolletage and fax will respond well. Rejuvenation Treatment: We offer an anti-aging treatment which will improve skin tine, texture, refine and refresh the skin by increasing the production of collagen in the skin. Fine lines and wrinkles may soften. Often at least 4 sessions are needed approximately 4 weeks apart to obtain optimal results. Vascular Treatment: We offer a treatment which will reduce facial vascular blemishes like the fine thread-like vessels found on cheeks and around the nose. Often at least 4 sessions, 4 to 6 weeks apart are needed to obtain optimal results. Treatment of the full face is usually performed in stages rather than the whole face in a single session.